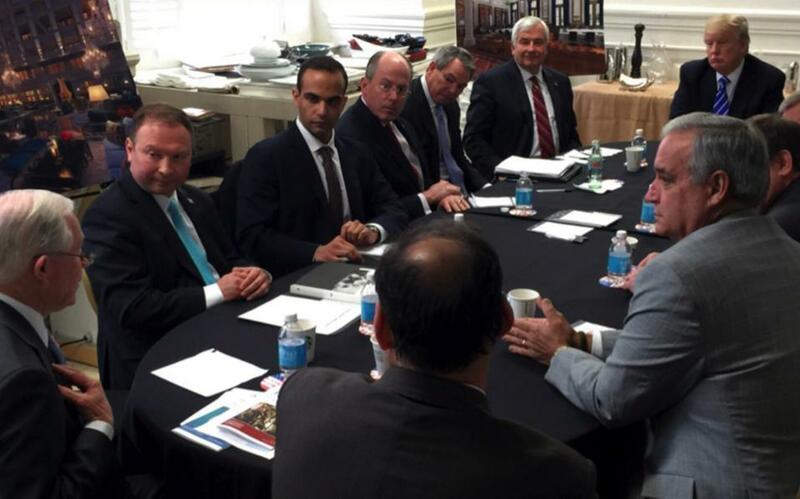 George Papadopoulos (third from left) sits at a table with then-US presidential candidate Donald Trump and others during a meeting in Washington in this photo that was posted on Trump’s Twitter account on March 31. When I first heard the name George Papadopoulos coming from the lips of Donald Trump, I admit I was taken aback. We more or less know all the Greek Americans who are active in the Greek lobby or in think tanks. George Papadopoulos, however, was a name we hadn’t heard. 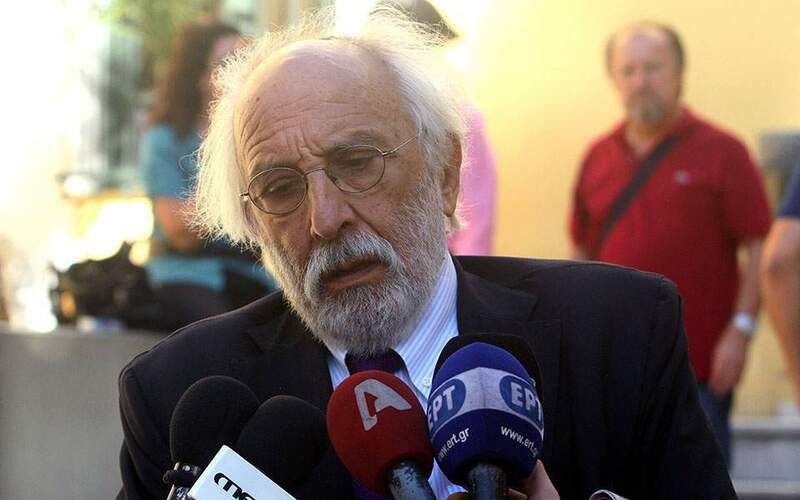 The only Greek American close to Trump during the US president’s election campaign was George Gigicos, who traveled across America with him, organizing his rallies. With some research, a journalist with Kathimerini tracked down Papadopoulos, who had come to Athens to make “contacts.” It was May 2016 and Trump was very much a question mark. No one knew his positions on foreign policy issues, nor of course, on Greece. I admit I was curious to meet the man and see whether there was a “Greek” element in Trump’s closest team. I contacted him and we met at a central Athens hotel. Sharply dressed in a manner befitting of a US law school graduate in his first job at a firm, he started to explain Trump’s dogma and to stress his own role as foreign policy adviser. His manner was that of a second-rate actor in a political thriller. Every so often, he would lower his voice so as not to be overheard or drop hints of major contacts, mainly in Israel, but also in Egypt and Cyprus. He also insinuated having some kind of close connection to the Israeli energy firm Noble. It was obvious that he didn’t know a lot of people in Athens at the time, but was eager to make important acquaintances. The way he threw out different names, like that of Egyptian President Abdel Fattah al-Sisi, made me think that he would soon accomplish his goal. I left that first meeting unsure of who I was dealing with or, rather, whether I was looking at someone who was too green or too flippant for the job he had been assigned. We met again when he came back to Athens a few weeks later. 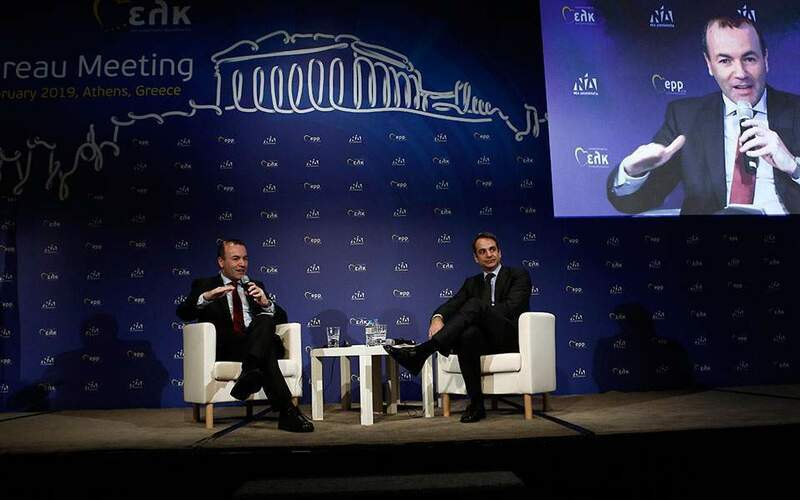 By then he had met everyone he needed to know and spoke very comfortably about the Greek president, the ministers of foreign affairs and defense, the head of the main opposition and important businessmen. He “revealed” that had been secretly planning a pre-election trip by Trump to Greece and Israel, which he saw taking place that July. 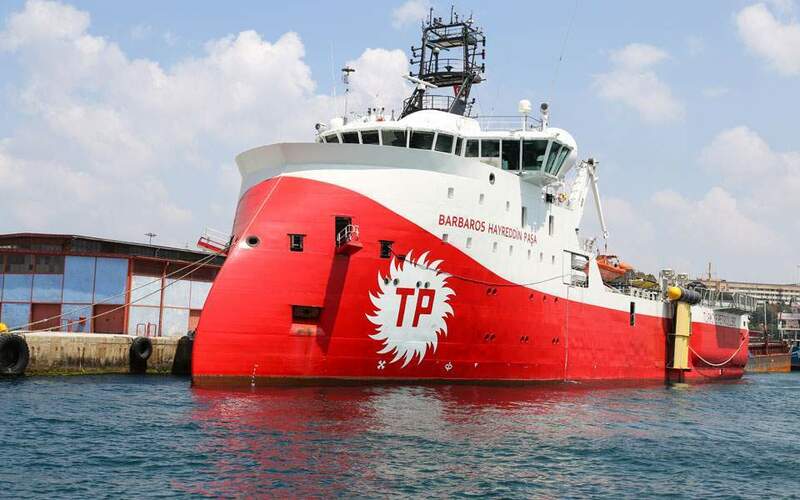 His contacts with the Greek government, he claimed, were quite advanced and he appeared confident the visit would happen despite some reservations from the prime minister’s office. In the meantime, he expressed his interest in an article I had written on the need for Greece to acquire some influence in Trump’s team, because up to that point, the government and its politicians were only in contact with the Democrats. I asked him to mediate with the Trump campaign people to get some answers from the candidate regarding issues that were of Greek interest. He said he would do it, so I sent him my questions. He then disappeared for a while and wouldn’t answer the email I sent him. On June 3, he forwarded me an email from Hope Hicks, the head of communications in the Trump campaign, in which she said she would be happy to do an interview, but needed a bit of time. I heard nothing more on the issue and Papadopoulos disappeared again until September 30, 2016, when he forwarded me an interview he had given to Russia’s Interfax news agency. I traveled to the US the following month for the elections and tried to track him down for an interview. He finally answered after I had sent several messages, saying that there had been some issues with the campaign, but they were OK now. Then he disappeared again. In the meantime, I started hearing complaints from all sorts of people regarding Papadopoulos’s attitude. He had acquired a new status in Athens and was widely regarded as being the key to having Trump’s ear. He was bestowed with awards, wined and dined by prominent Athenians and even appointed to the judging committee of a beauty pageant on a Greek island. I had expected him to get a job at the State Department as it became clear after the elections that Trump did not have enough people of his own to staff hundreds of political positions. For months I heard nothing of Papadopoulos and wondered what had become of him. Last Tuesday, I was at Dubai airport on my way back to Greece from Japan when I saw the news of Papadopoulos’s arrest in the CNN headlines. The ambitious young Greek American had finally managed to become famous – albeit not in the way he had intended.